We are happy to announce our best offer of the year. 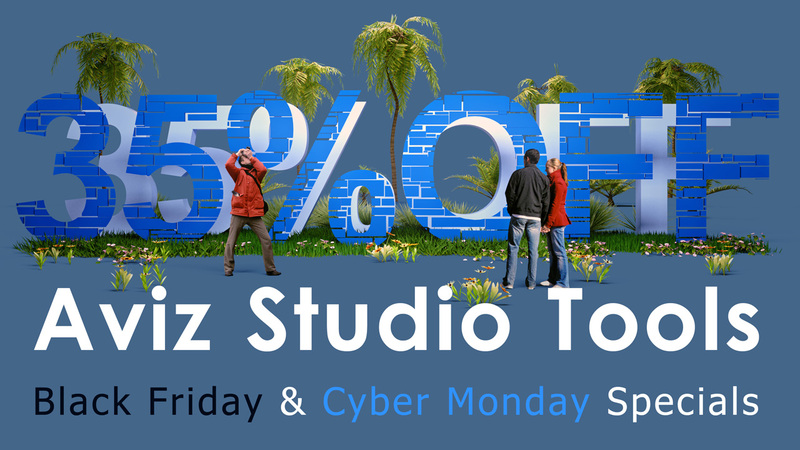 35% off the original price for all our 3ds Max Pro tools: ATiles Pro, ATree3D Pro, A2Dimage Pro, AColorManager Pro and ASnapshots Pro. The sale starts today and ends on Monday, 26th of November. You can find short description of all these products here. We’ve updated our server and in the past couple of hours there were problems with loading of some pages and links. Now our website works as before and all pages and links are accessible. We appreciate the patience, and we’re sorry about the inconvenience. Finally our new website and logo redesign are ready. Hope you like our new look and find content that you are looking for easier and faster.